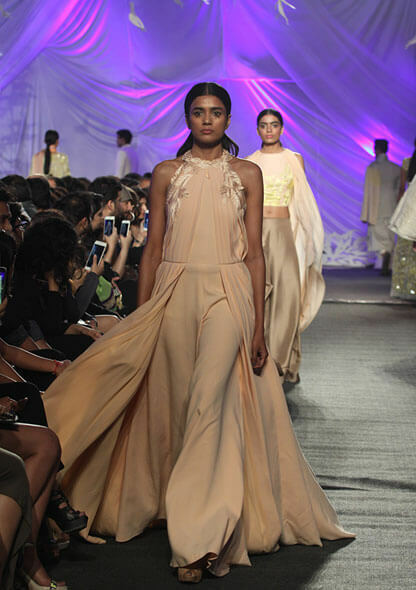 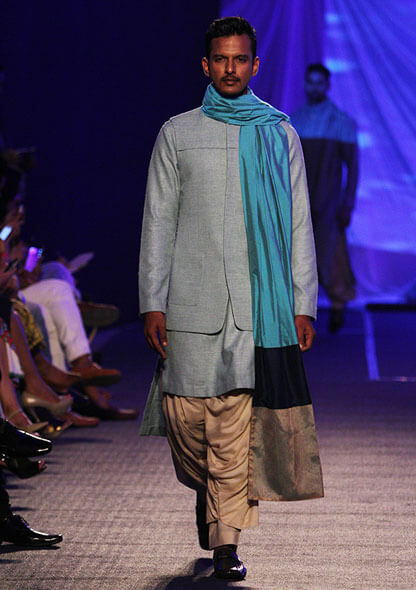 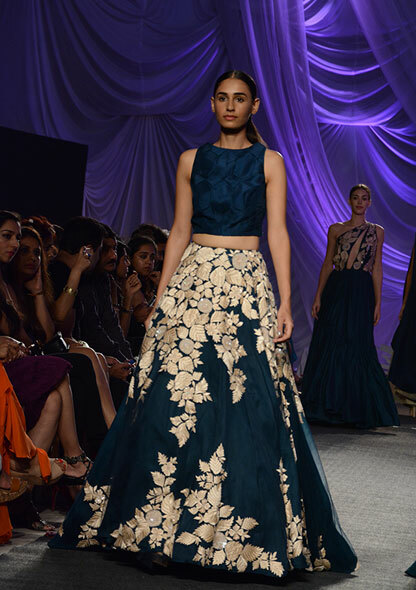 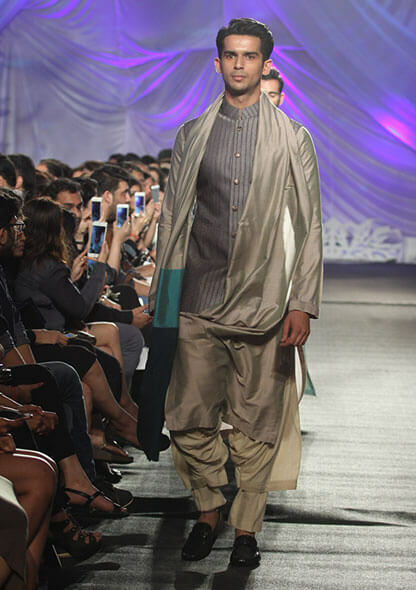 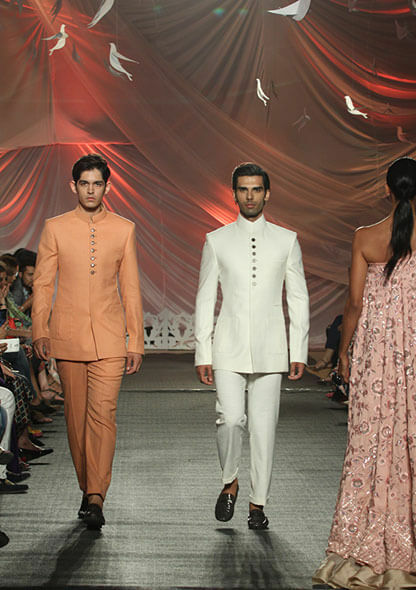 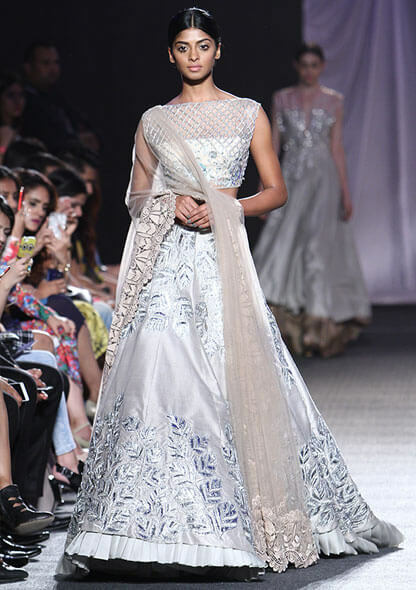 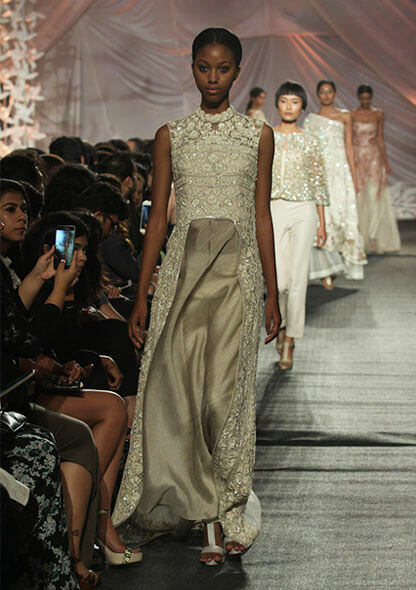 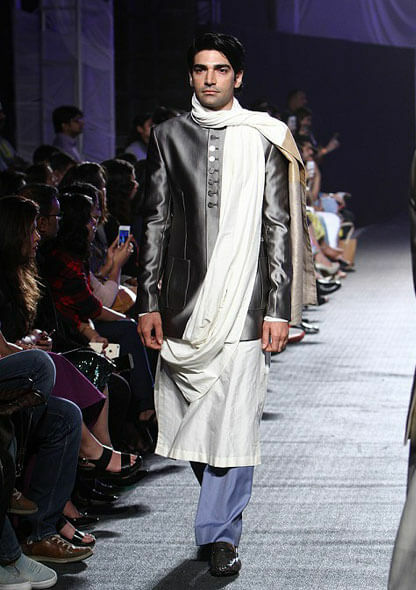 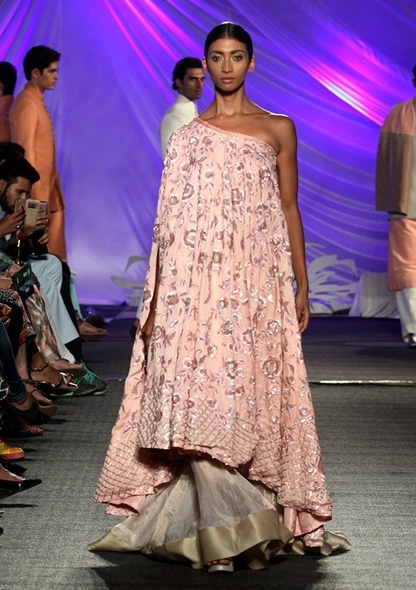 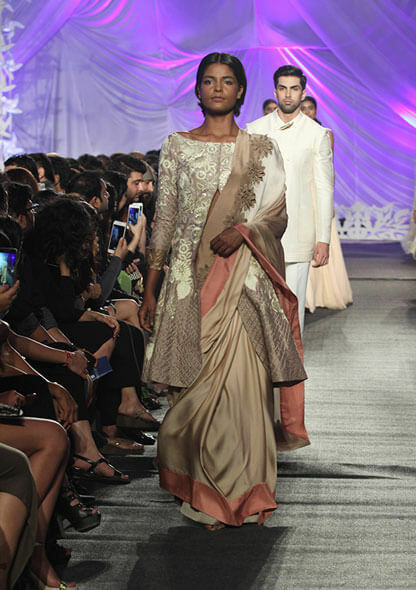 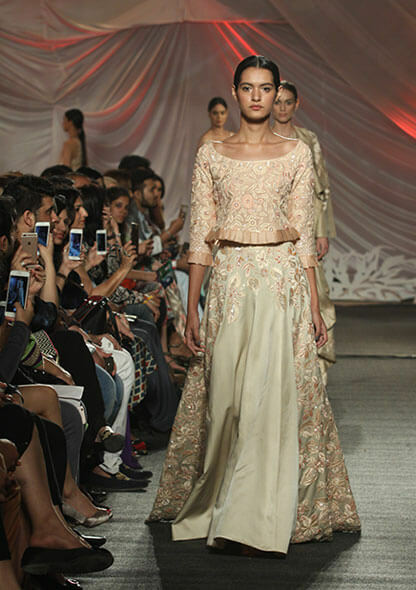 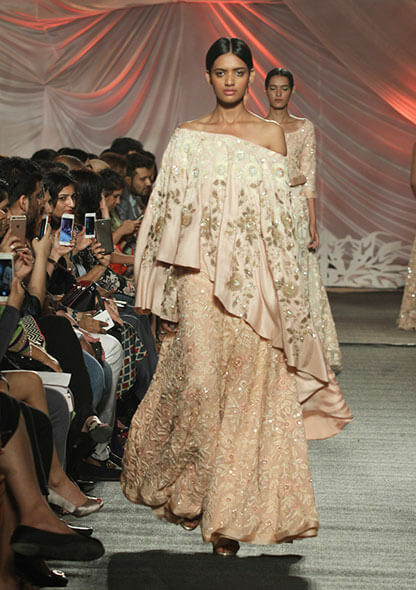 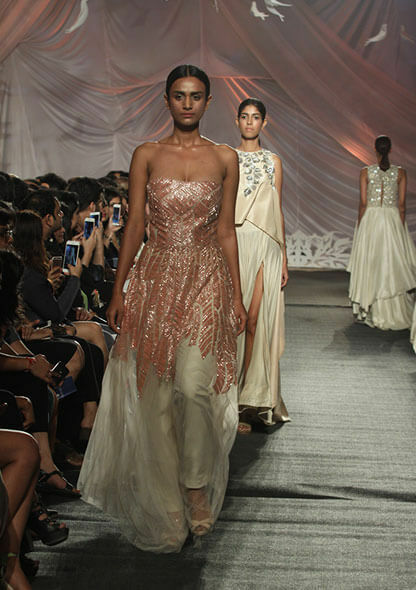 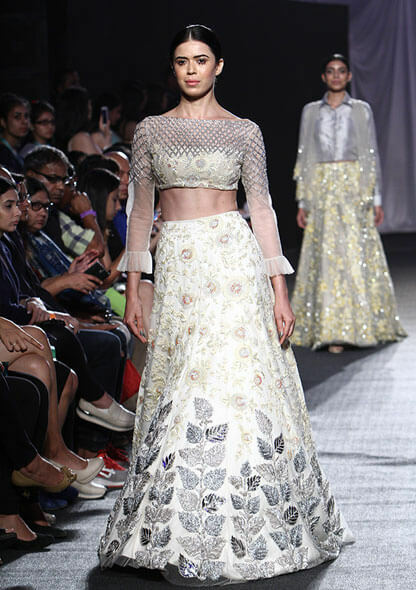 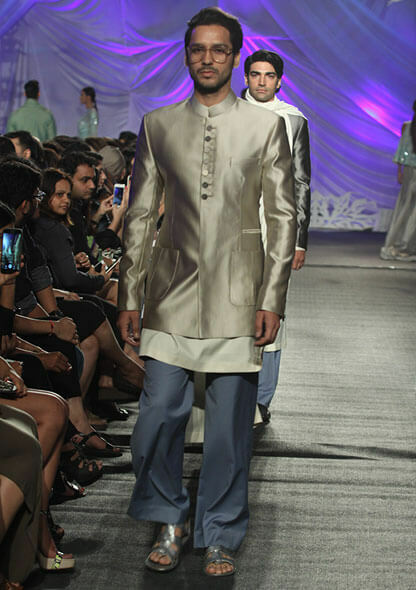 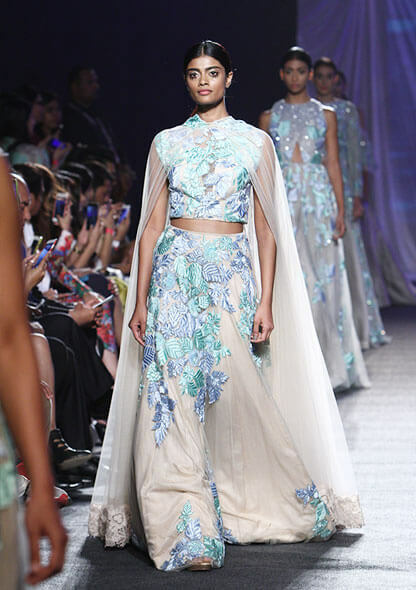 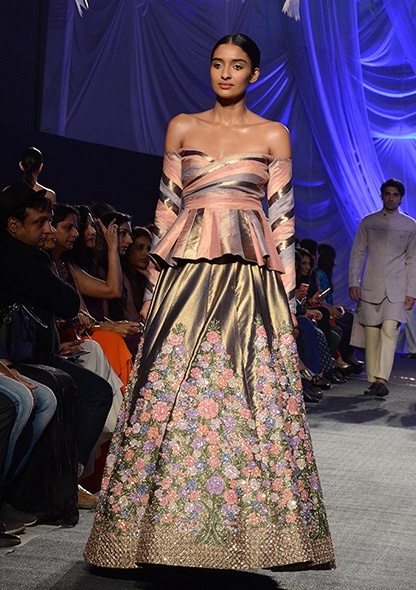 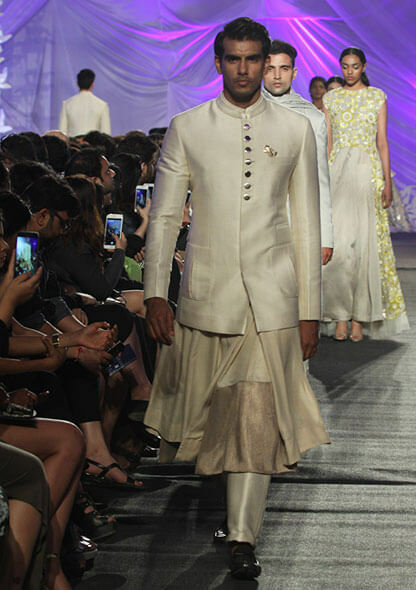 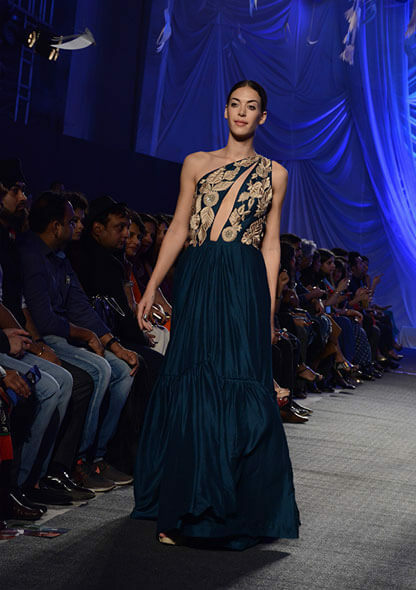 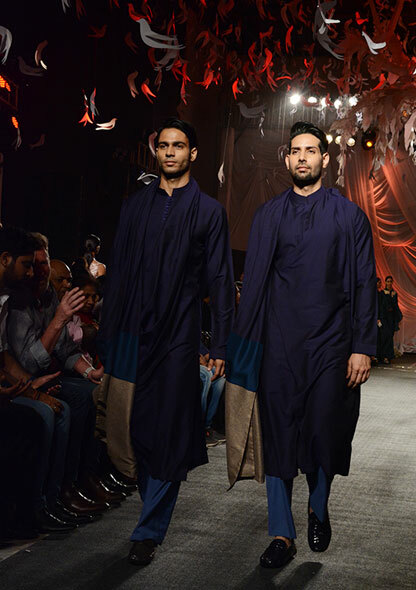 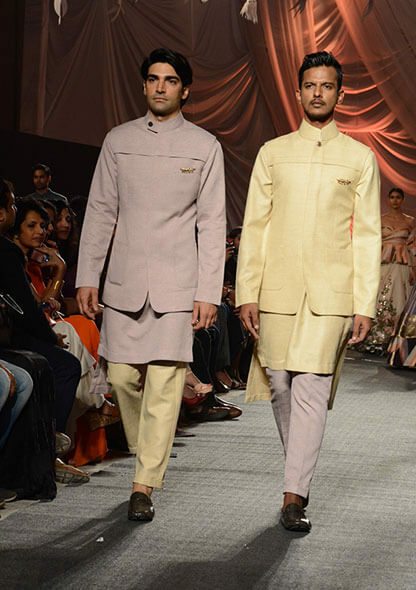 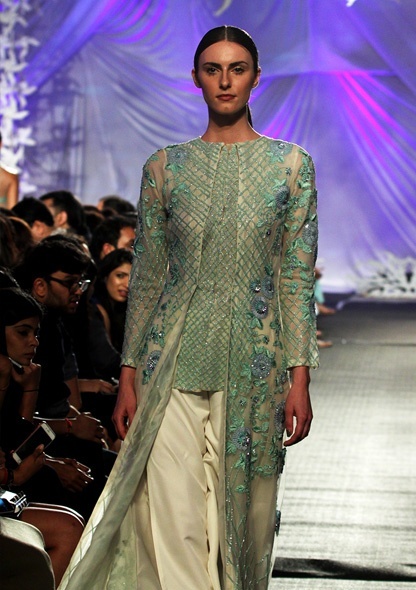 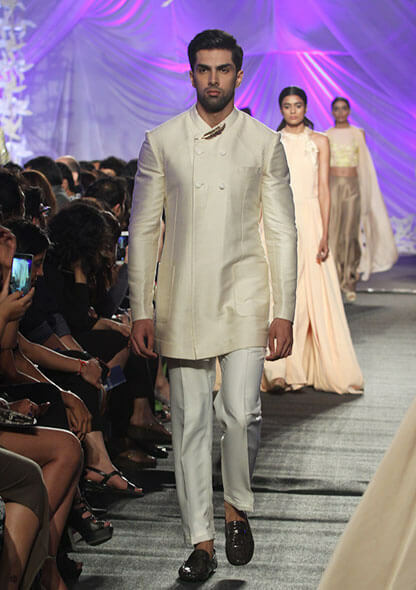 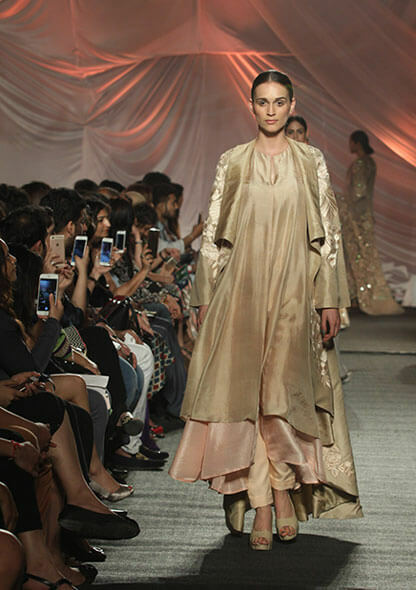 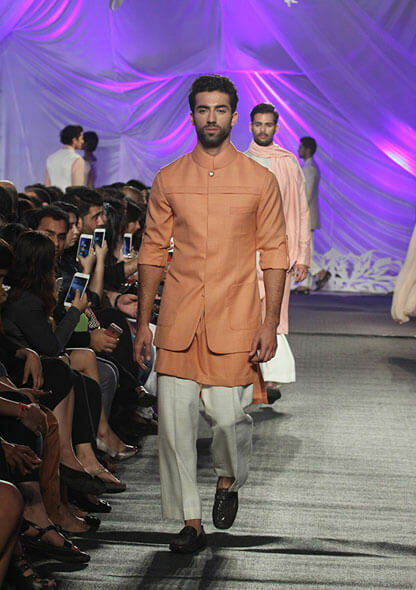 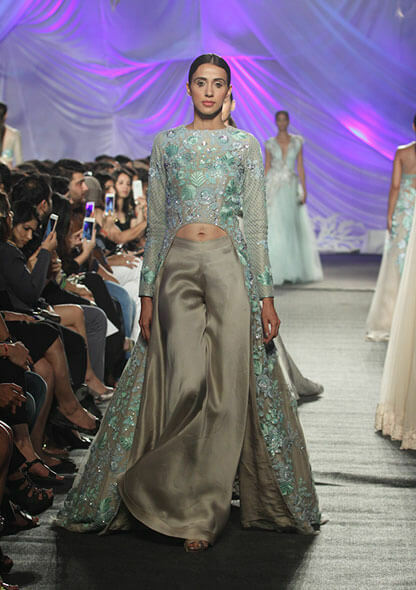 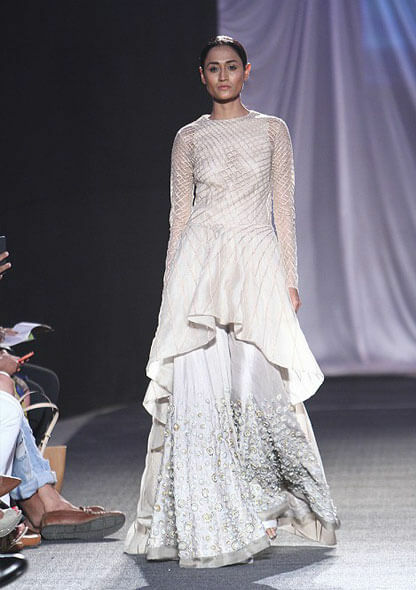 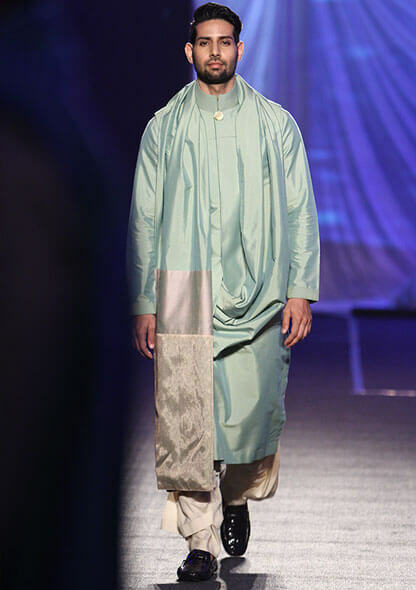 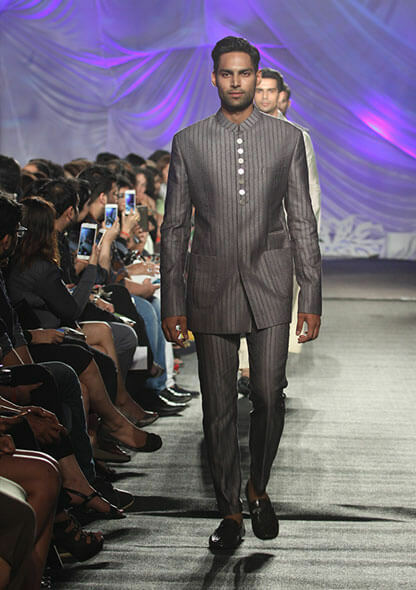 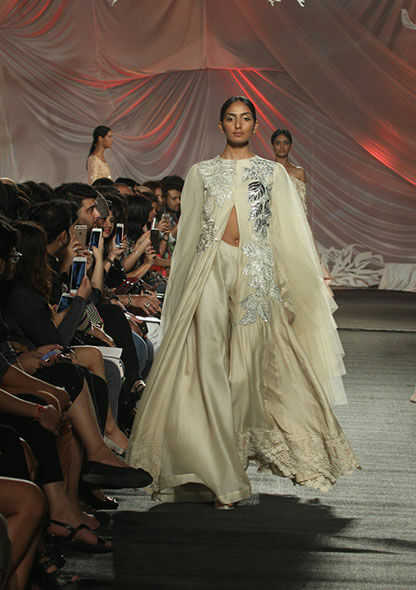 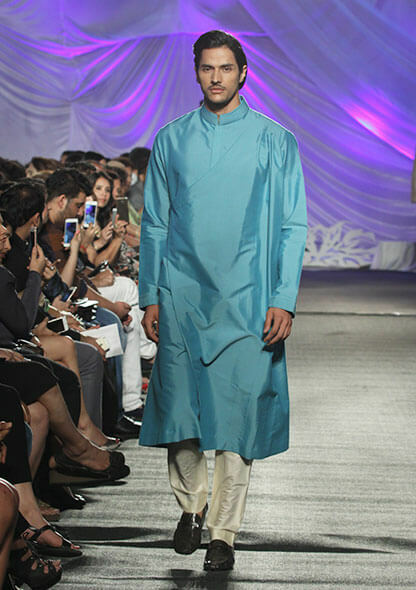 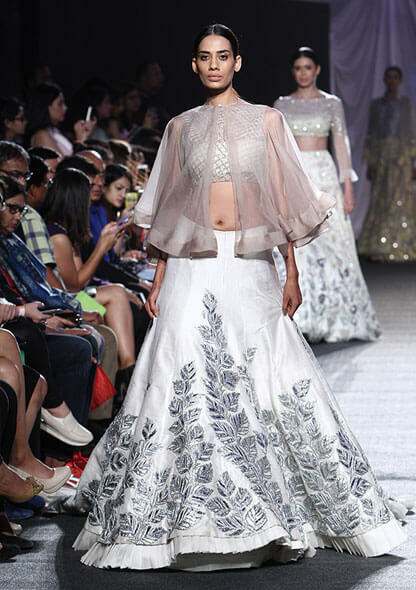 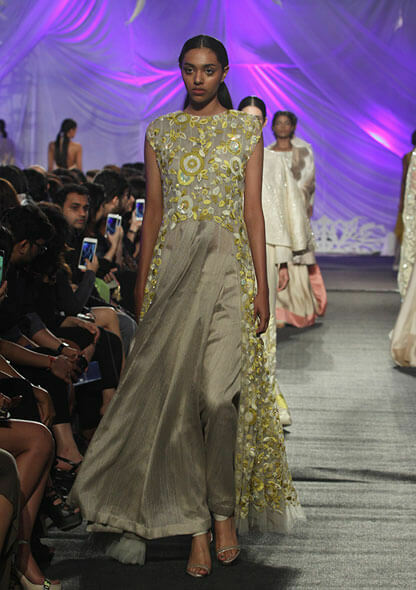 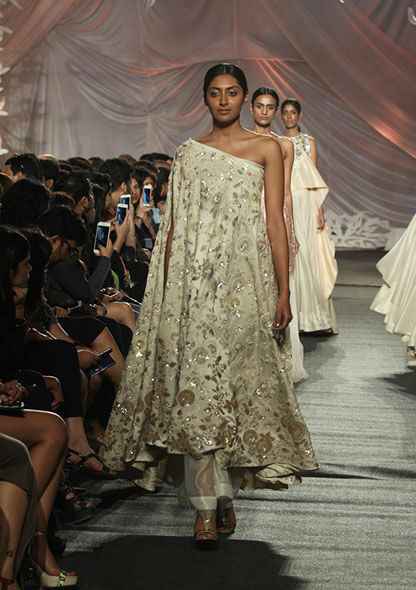 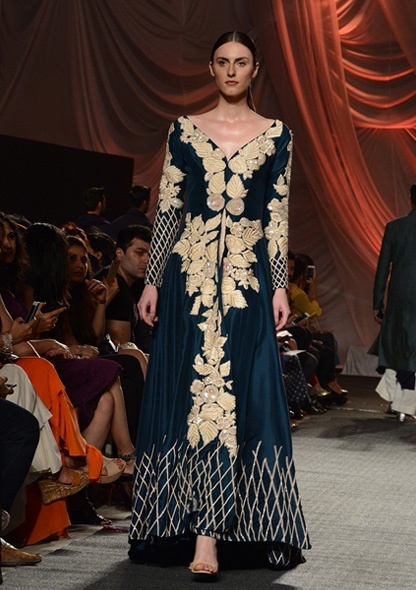 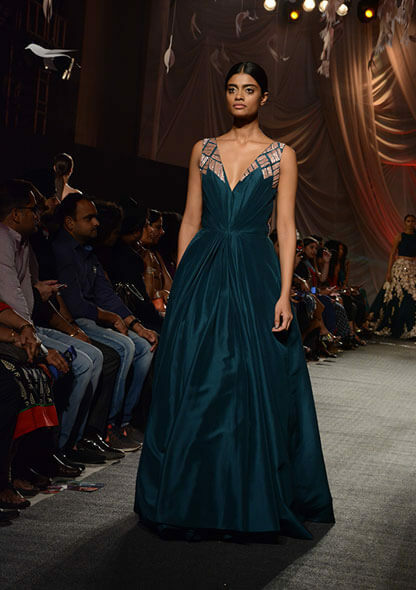 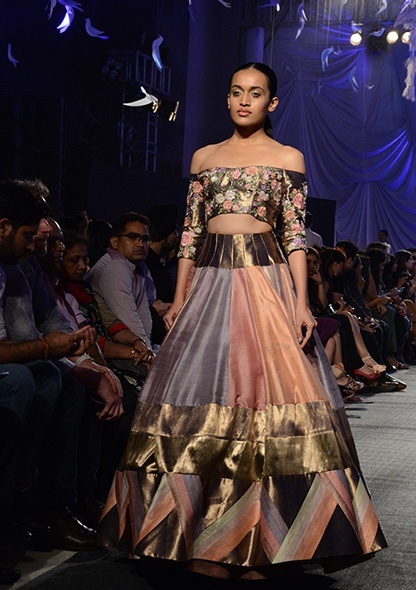 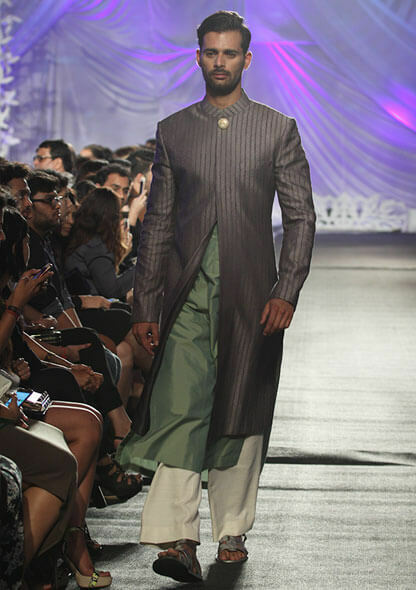 Couturier to the stars, Manish Malhotra opened Lakmé Fashion Week Summer/Resort 2016 with ‘ELEMENTS’ – his Spring/Summer 2016 Haute Couture collection, presented by LYF Smartphones, at Mehboob Studio in Mumbai. 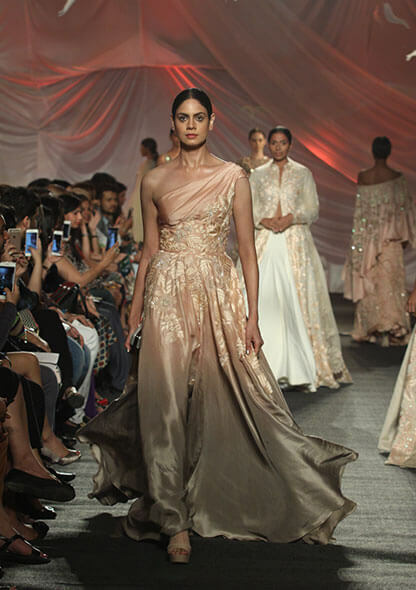 ‘ELEMENTS’ marked a new direction for label ‘MANISH MALHOTRA’, celebrating the designer’s inimitable style of glamour through a couture lens. 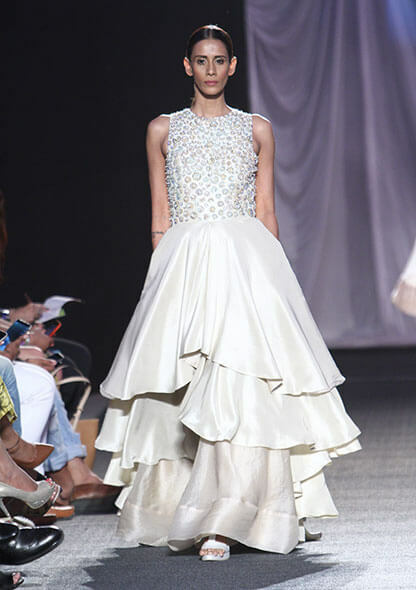 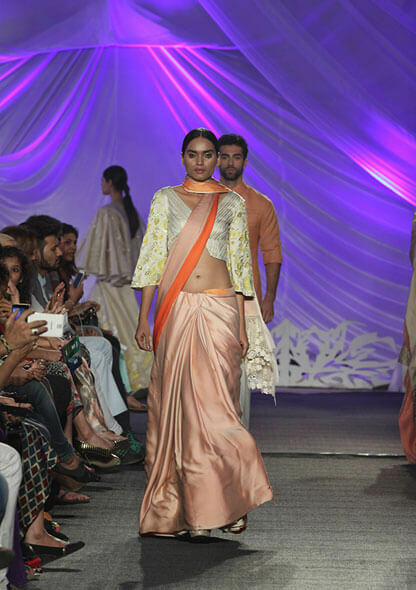 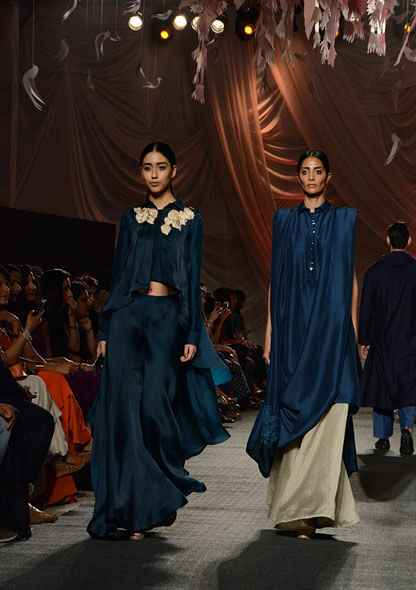 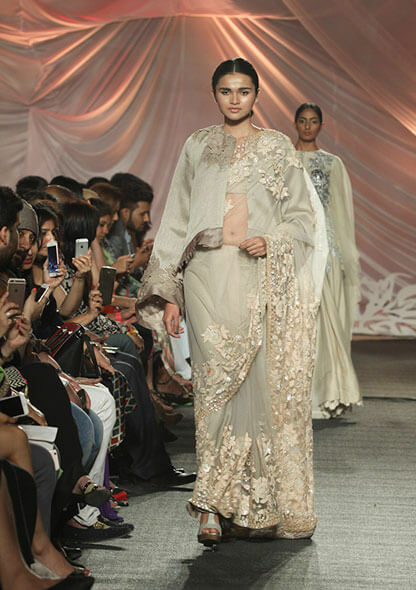 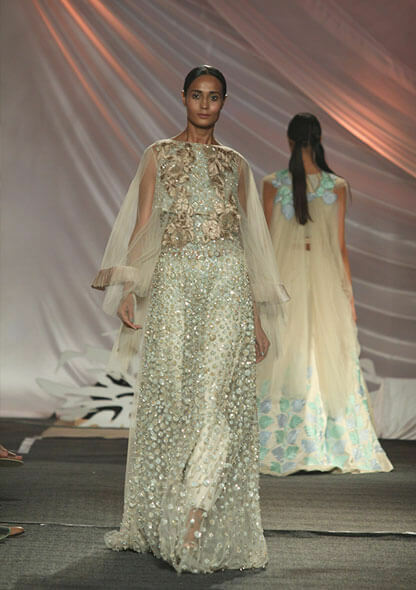 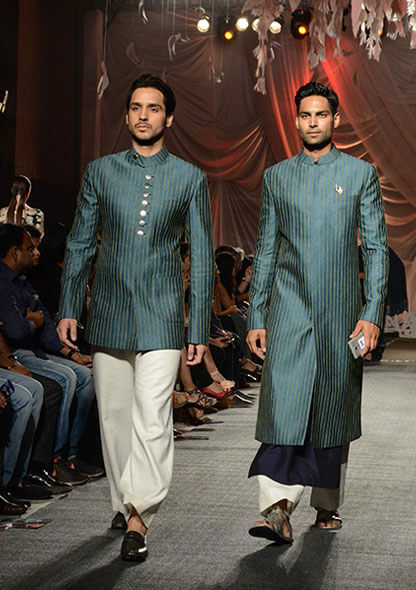 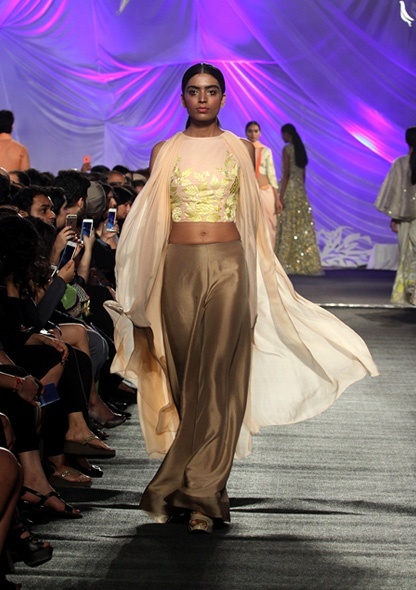 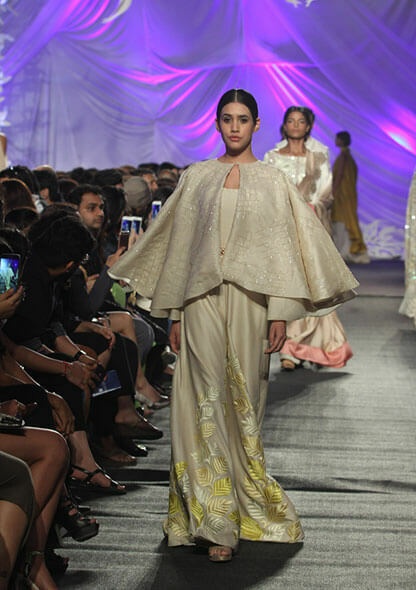 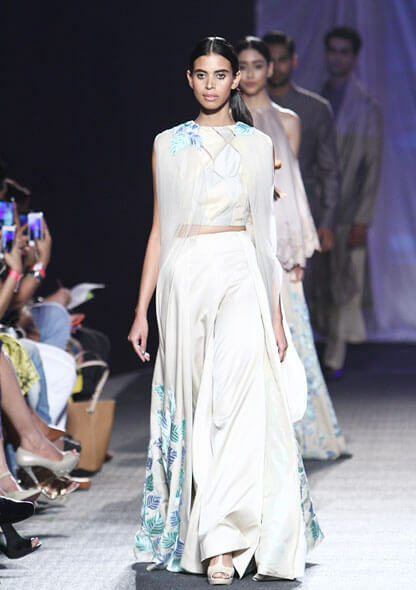 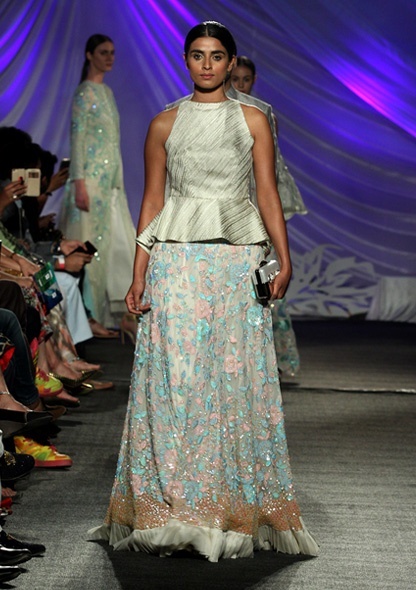 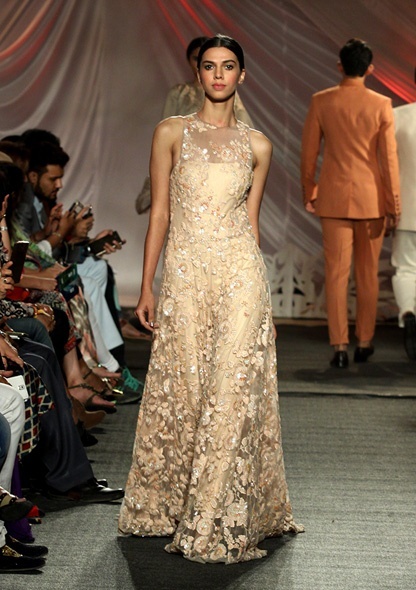 Comprising of over 70 ensembles for a beautiful summer wedding, ‘ELEMENTS’ blossomed on the runway, inspired by Nature’s four glories– Earth, Water, Wind and Flame. 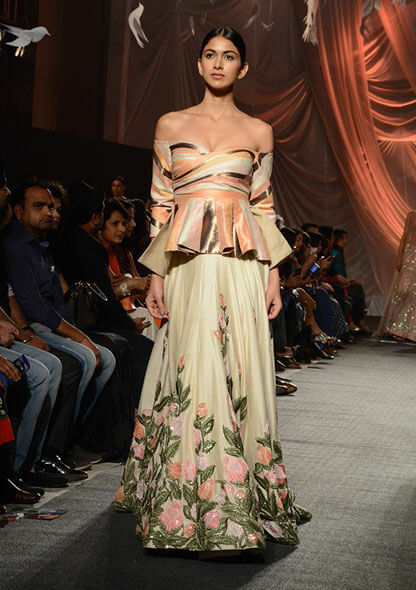 The miseen scène depicted nature, in keeping with the theme of the collection. 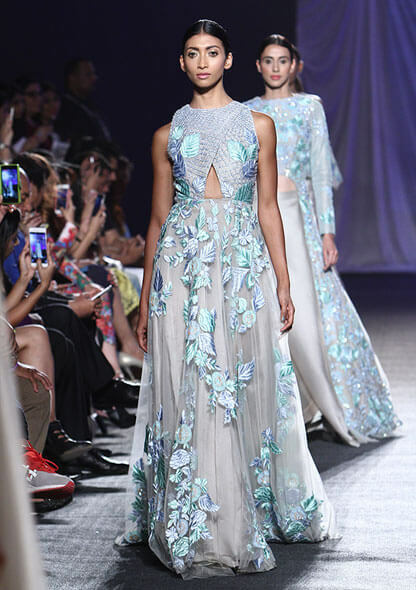 Models showcased the LYF Water 7 Smartphone on the runway. 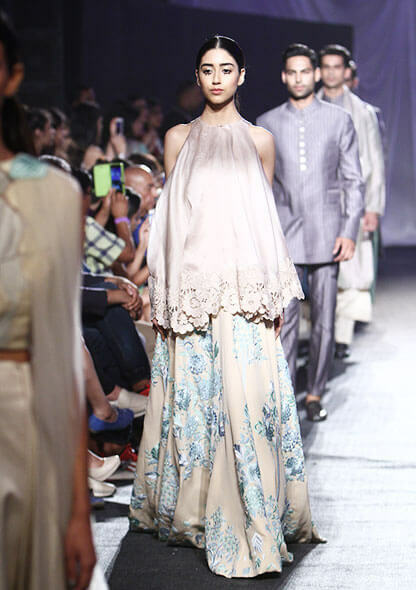 The stunning Jacqueline Fernandez in a pastel pink gown and sheer cape and the dapper Arjun Kapoor in a midnight blue kurta and pants closed the show to thunderous applause.